EaP CSF Steering Committee Co-chairs Krzysztof Bobiński and Ulad Vialichka attended the Euronest PA meeting in Brussels. 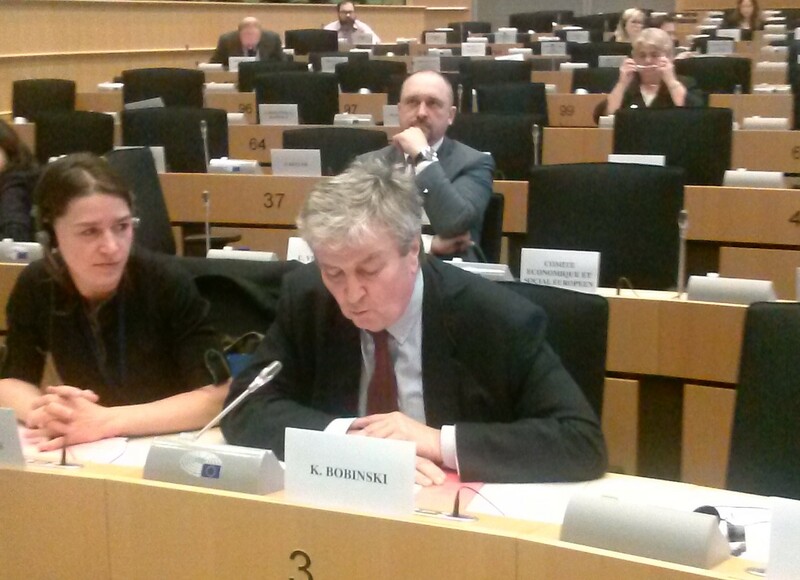 Krzysztof Bobiński shared with the Euronest PA the Forum’s view of the situation in the Eastern Partnership. He focused on the major challenges in the EaP countries in these turbulent times, which make the realisation of the CSF mission all the more urgent. “The Eastern Partnership leaders throughout the region faced by the threat of civil unrest are looking to the European Union for economic support but refuse to recognise the need for economic and political reforms. In this situation the CSF must continue to press for change and for the freeing of remaining political prisoners”, Bobinski said at the 5th Ordinary Meeting of the Euronest PA.
Ulad Vialichka presented the EaP CSF position on the EU policy towards Belarus at the meeting of the respective Working Group.